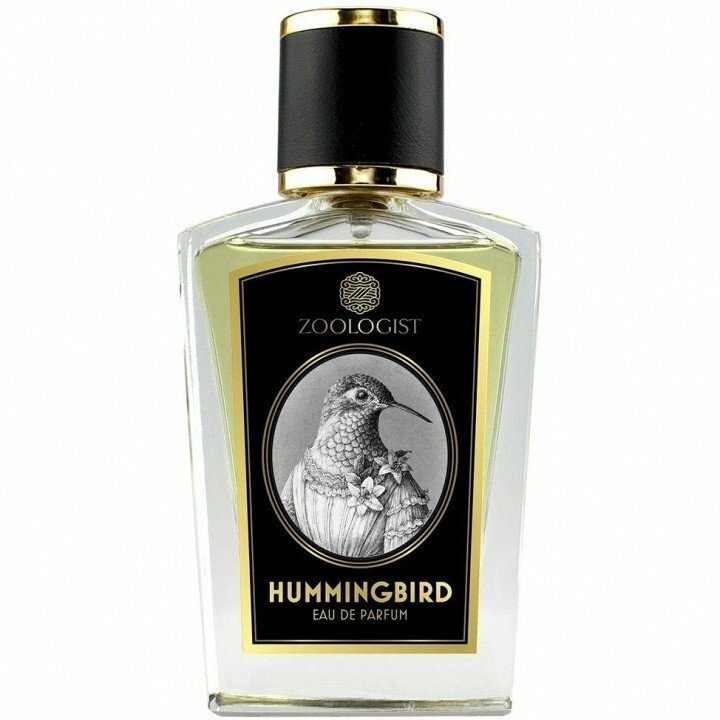 Hummingbird is a popular perfume by Zoologist for women and men and was released in 2015. The scent is floral-fruity. The longevity is above-average. It is still in production. Tinkerbell has a new favorite scent: Hummingbird! Created by my favorite fragrance artist Shelley Waddington, who otherwise produces the fabulous, fairytale-like EnVoyage fragrances, this dream of a flower perfume is one of the most commercial from the zoologist series of Victor Wong. At first, a delicate, but only slightly sweet breath rose to my nose, underlined by green, fresh-flowered notes. This develops in the further course of the fragrance in a creamier, green direction, in order to become increasingly flowery-velvetwoody. I can see/smell similarities with Jardins de Bagatelle, the only green Guerlain fragrance I've ever used for a long time, but JdB is less pleasing-cuddly. This makes Hummingbird superior to it. The delicate nectar and the millions of flowerbuds form a cloud of bliss, which accompanies and inspires me for a long time. A veritable poem! Very wearable and durable. A mainstreamer among the Zoologist creations, which nevertheless stands out positively from the mass of the flowery fragrances by its delicacy. This scent is totally my cup of tea, so now Zoologist released a scent that I really like as well. "Hummingbird" is the next stop in the animal habitat carousel and it is a very pleasant atmosphere. The scent offers a variety of floralcy mixed with green notes and smells natural and slightly fruity. An orchard with a rich offering of blossoms for hummingbirds that just can't wait to collect all the nectar. It turns out as a wonderful combination of tender blossom notes (some lilac, honeysuckle, tulip and of course fruit trees) and fruity nuances (to me mostly cherry and a bit of pear) that don't smell of overripe fruits. It grows into a very green floral scent, which I think is absolutely authentic and is in no way too synthetic, so that it fits a natural garden with all its facets very well. In the base note I can also sense a bit of that nice description of the hummingbird's nest which supports "Hummingbird" in being not overly sweet like a dessert in the end. It stays soft and tender and I enjoy smelling it. 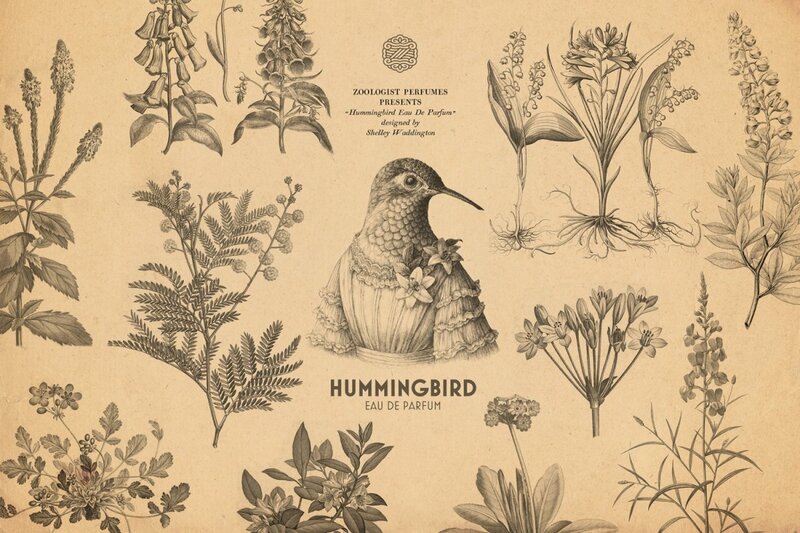 The scent stays with us from dusk till dawn and provides a nice image of a hummingbird's "working day". Collect a lot of nectar and rest afterwards. Very nice and close to nature. One continues to notice, that the thoughts of the makers remain focused on a lifelike representation of the animals and their habitats.